The Evolution of "Classic" Gameplay. Where to go from here? I'll preface this by acknowledging that I may very well be posting too many new topics, and thus spamming. If this is the case, I apologize. Feel free to call me out on it. However, there's a topic that I think merits discussion, given the "retro" focus of this community, and the input of the community will no doubt be fascinating. Agree or disagree, but much has been said about the failings of the Boost/Modern-style gameplay, and how to best remedy that. This has resulted in a focused appreciation for the classic titles (1,CD,2,3&K) as can be evidenced by the community itself, and the enormous success of Sonic Mania. Iizuka has stated in an interview "with the release of the physical version in Sonic Mania Plus, it feels like we did everything we could for the Sonic Mania project", and that there are currently no plans for a sequel. Now, this doesn't necessarily mean that there aren't plans for another 2D game, as Iizuka also stated that Forces wasn't Generations 2 despite the same general direction. However, assuming it does mean that, it seems that speaking purely for Sonic Team, they have no idea where they could take that style of gameplay. This got me thinking. Assuming that Whitehead & co. did work on another 2D Sonic game, where could they take the classic 2D gameplay? The classic series games all iteratively improved on what came before and honed what worked and what didn't. Mania (and more specifically, Mania Plus) continued this iterative improvement process, and not only distilled and expanded on what worked in the classic series, they added new movement features like the Drop Dash, and Ray & Mighty's abilities. Where could it go from here? Aside from the next game including purely new levels with new gimmicks, and possibly the inclusion of Amy and a new movement style for her, how could they expand on the classic Sonic gameplay? What would you like to see in a future 2D title, and what areas in the classic gameplay could they improve? I'd be all for them keeping/expanding upon the Encore Mode style of play with the switchable characters. Sort of Chaotix done right. I'd personally like to see something akin to the exploration aspect of Sonic CD, with new collectables outside of Rings and shield monitors. Entirely optional but a neat way to add more to the game. I also would rather like an explorable 3D hub world full of secrets a la Sonic Jam, with the levels themselves remaining 2D. Potentially a more inclusive and honed way to co-op play. However, as we can see from the Adventure series, the inclusion of too many different gameplay styles can be to the game's detriment. How would you incorporate new ideas while staying true to the core gameplay mechanics? "Evolution" is actually the problem that got Modern Sonic to the sorry state he is today. There's a video by a pair of Adventure fans that explains it quite well. 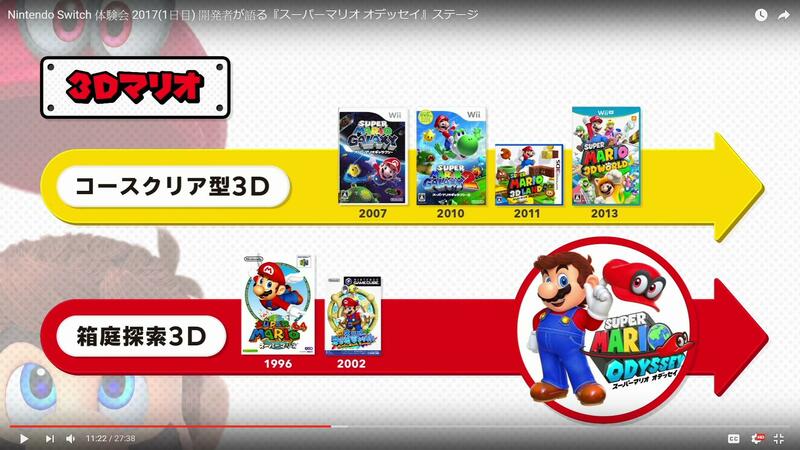 People talk evolution as if it were something that doesn't come to a logical end or that it can go on infinitely but one look at Mario shows there is an end. Mario in Super Mario 64 plays and handles more or less the same as he does in Super Mario Odyssey. Controls get tighter and maybe a new move here and there but his core moveset permeates every game. This isn't evolution but rather perfection. The changes we see are primarily under the hood improvements (i.e. the camera) and in the handling of Level Design which nintendo themselves have separated between the Open World and Linear. It is worth noting that Iizuka says some really (I'm being nice here) questionable things at times. He stated not so long ago in defending the physics of Sonic 4 as an improvement over the classics. Him stating anything should be taken with a HUGE grain of salt. My take: Don't change any of the core moveset. Toss in Amy as a new character. Give us a game with all new levels. Experiment with new game modes (Sonic Adventure's mission mode shows some promise). Maybe a new elemental shield. Wing it from there. You're not spamming at all dude. You're two for two now in terms of excellent, original and super interesting threads. You're supporting Retro with good content. This thread is as awesome (and potentially awesome if this ignites discussion) as your other one. Also you got approved! Glad you did and glad to have you here on Sonic Retro. As for the topic at hand, I shall add my thoughts later. Somewhat short on time at the moment, but interested to see where this discussion goes. Laughingcow, I read your thread about Boost Sonic's origin the other day. It was a good thread that raised some good points. I have to agree with your analysis of Mario for the most part. I think there are interesting deviations from the core gameplay style in some levels, such as navigating while balancing on a ball, or flying through the level, which are integrated nicely with a fun controller peripheral, but that's all they are. Deviations. The majority of the gameplay was still based in a solid control scheme that was consistent across the levels. To compare that to, say, Adventure 2... These markedly different gameplay mechanics were intrinsically tied to each character in such a way that they weren't deviations, they were replacements. Adding something new while taking something away. I'd argue that you could add something like Tails' mech to the 2D games in a fun way if you introduced it as an optional deviation. Like if you were just going through Lava Reef or wherever, and there was a mech hidden somewhere in the level which you could pilot if you wanted to. You could still make it a Tails exclusive power-up by making it destructible scenery or a hazard if you were a non-Tails character, but it would entirely be up to you whether or not it was a way you wanted to navigate the level. The same goes for things like Knuckles' treasure hunt. This would have the effect of being interesting new variants of character-exclusive paths, which have been proven to be popular. I'd argue that co-op gameplay could be tightened up a lot. It would be nice to play co-operatively without the unavoidable fact that the minute you start moving, the second player is off the screen and relegated to a computer-controlled object. I don't think that co-op gameplay had ever been achieved particularly well in the classic games, and the one time where they tried to experiment with it and focus on that (Chaotix) they were beset by production problems. One way you could implement it would be to have each character function separately with their own ring counts and emerald counts. Make the special stages competitive. A multiplayer version of the Mania special stage could be pretty fun. A mission mode would be nice if handled well. It wouldn't require much to implement it, but it would add a lot of replay value. Chaotix experimented with the levels being different due to time differences, which is something I'd like to see more experimentation with. It'd be fun to navigate Green Hill at night for instance. Think of the visual flair you could add, like starliight reflecting off of the water. Maybe even add varying weather effects which alter how the level is played. Imagine a canyon level. Now imagine it after heavy rain, with the canyons full of water. Maybe make the score mean something outside of an arbitrary point count. You could make points like currency with which to purchase unlockables, which would add a whole new emphasis on gaining points in interesting ways, getting the cool bonus, defeating all the enemies, etc. outside of "X points gets you an extra life" which is a bit of a dated idea when the games have save files. Have Game Overs subtract a certain amount of points from your game-wide score count which adds a new level of risk when playing a level and hunting down the enemies in the first place. I don't think all of these ideas necessarily should be implemented, but I think there are a ton of interesting ways you could add to the game without taking away anything. You're two for two now in terms of excellent, original and super interesting threads. You're supporting Retro with good content. This thread is as awesome (and potentially awesome if this ignites discussion) as your other one. Also you got approved! Glad you did and glad to have you here on Sonic Retro. Thank you. It's nice that these topics have been recieved positively. I've lurked for a fair while without feeling I had much to contribute to discussion, so I'm relieved somewhat. Kind of glad I found those pre-1207 Chaotix screenshots a while back, since that was my impetus for finally posting in the first place. It might be interesting to have a branching level system. Kind of like Super Mario World, where some levels had alternate exits, but without the map. So more like Castlevania: Rondo of Blood, I suppose. They've already dabbled with it, Sonic 2's Hidden Palace Zone was accessed through a path (pit) in Mystic Cave Zone. They had to retrofit that one in though, ideally each alternate path would still end with a boss and a score tally. The Encore Mode version of Lava Reef Zone Act 2 has two different bosses depending on which route you take, so something like that. One of Mania's best additions was how the elemental shields would affect/be affected by the environment. So there could be a fire shield at the start of an Act, and something you can burn to lead to an alternate boss/level near the end of the Act. That would introduce the challenge of making it that far without taking a hit and losing the shield. The giant rings were often well hidden in Mania, I wish the game kept a tally of them, like the Red Star Rings in the recent 3D Sonic games. But I like hidden collectible trinkets in platformers in general. Anything that rewards and encourages exploration, and lets you know when there's still more secrets to be found. It would also add more replay value to the game if it had a set of bonus missions, like getting through a level without any rings, or racing Metal Sonic to the goal. So basically, keep the core gameplay the same, but add more rewards for exploration and optional extra challenges for more skilled players. I rather like the idea of expanding upon elemental shields affecting the environments, as you suggest. Expand it beyond "fire burns wood", for example. Maybe you run past a computer terminal in a tech-themed stage, and you can use it (using the same button as the Super transformation sans jump, cementing it as a universal "action" button) if you have a lightning shield, which opens a door or blows a hole in the wall or something like that. Have the water shield actually drip water or something so it's more water-based than simply being a big air bubble. Douse some flames with it, producing smoky/steamy updrafts to reach higher levels, or douse it to stop flames from rising and burning the bridges you actually want to use. Hell, even though the over-reliance on homing attacks in recent Sonic games has drawn ire due to the way it's reduced level design to simple chain combos, I would actually LOVE for the golden homing shield from 3D Blast to return. As an optional addition to the core gameplay mechanics, it would work perfectly. I think that movement-based powerups and abilities just work in a series with the classic physics. Look at how much fun the Dropdash and Ray & Mighty's different movement styles added to Mania. Plus, it's a shield that all characters could benefit from ability-wise, not just Sonic. Maybe even have a shield that grants each character their own unique added ability when they have it, so how you use it entirely depends on your character choice and wouldn't require an individual power-up for each one (reducing power-up overkill). Branching level paths could be interesting, though I have a feeling that it would end up rather convoluted due to the enormity of the levels. More collectibles would suit me fine. Maybe bring back the Flicky system from 3D Blast. Have them reside in certain badniks, requiring a bit of a hunt to find them. Getting to the end of the stage with all of them could reveal an end-of-stage warp ring to a unique bonus stage or extra act. I'd be happy for them to expand on collectibles so that the series could have unique assets akin to Mario's trademark mushroom, flower and star. Things that could be used to visually represent and define the Sonic universe beyond rings, springs and emeralds. I suppose that's what Iizuka's trying to do with the wisps, come to think of it. Though I do worry that too much emphasis on new elements like that could be to the detriment of the classic design elements that we enjoy, and I am in no rush to redefine the Sonic universe just as we've returned to the classic style that we love. Red Star Rings are inoffensive enough as a collectible element, even if some would consider it blasphemy for classic gameplay to borrow from the modern design elements. Like I said before, it's a fine line between "adding" and "replacing". Speaking of adding. I'm certain that I'd like Amy added to the next 2D game, as I feel like there needs to be more female representation in these games. Due to the general lack of speech in the 2D games, it would be easy to have her as a character without necessarily being defined by Sonic himself. I like the whole "action girl" portrayal, and I can see some type of hammer move being an interesting way to integrate her. Also, given the tendency to introduce new characters, I wouldn't be averse to them adding another female character to the roster. We already have five male playable characters, and perhaps they need to expand the female side of the equation. I'm not sure who they could use though, given the general male-focus of the series. A new character maybe? The lack of in-game speech would be helpful too, as there wouldn't be any risk of a new character becoming a "Poochie". I'm not entirely certain how I'd want Amy to play though. Obviously some sort of hammer move is a necessity, but would she be slower than Sonic? Jump height differences? Maybe at the expense of speed, she could use her hammer to break through both Knuckles' horizontal paths and Mighty's vertical paths, and have a hammer-spin (a la Kirby) as an insta-shield? It might be OP, but it could be a fun way to play. I like what they did in Sonic Advance with Amy, though I feel it would be somewhat lacking if she didn't have the ability to roll. I think the Classic Sonic gameplay was evolved enough at Sonic 3 & Knuckles and even SEGA knew that. The improvements I'd like to see are the addition of Advance Amy (in her Classic skin) and a bigger focus on character-specific paths. I think that would be more than enough to keep the series interesting to me. Branching Paths enabling access to an array of Zones would be a perfect way for the Classic series to progress. S3K laid the foundation for it, and Mania certainly expanded upon it, so its a trend to keep. It would be wonderful to not only have Knuckles only routes and the occasional Knuckles only act, but entire Zones accessable thanks to Knuckles (or similiar) abilities. If it really is handled akin to SMW, then perhaps a specific Sonic-oriented path leads to a region of that Knuckles-oriented zone. So in the end, most levels are playable by anyone, just accessed at different times and through different methods/routes. Expanding on the use of elemental shields, which Mania did beautifully, would play well into the concept too. Perhaps some paths aren't restricted by character ability, but by shield ability, just to grant more variety for playthroughs. Or maybe a Tails/Ray only path can be accessed by the others with a new Wind Shield. Or Sonic has a heavy-rock shield or something and can break through a Knuckles path. Adding Amy to the mix is always welcome. She would work well with this branching paths system, using her hammer to access any route if she can position herself right. Encore Mode is something I'd very much like to see return as well, although not as the main mode of play. Branching Paths enabling access to an array of Zones would be a perfect way for the Classic series to progress. Oh sure, branching paths OutRun style wouldn't just be SEGA-ish but make for an epic game. Maybe a bit too epic for a budget like Mania's... so they should just invest more money into it this time. I don't much care for adding any massive game-changing features to classic Sonic games. I'm not even amazingly keen on the drop dash - I'd rather refine what's there. I was toying with making a topic myself about little things that could be improved in 2D Sonic games, now that technology allows for it. For example, having Tails' AI scripts being actually able to negotiate levels, so he doesn't have to fly in as often. Perhaps AI Tails could attempt to actually play the game - hitting bosses or enemies to show younger players how it's done, or purposefully going after rings, rather than ignoring hazards or getting in the way. Why don't bosses and enemies have turning frames, rather than instantly flipping to face the other direction? Why not have Sonic and Tails look at things around them similar to Nintendo's 3D games, to give a visual clue that something is dangerous or valuable. Banjo-Kazooie-style music changes when underwater. Knuckles being able to swim would tie him in with later games and would make more sense than gliding. As far as I'm concerned, the rest of the new features could be handled by new, more interesting levels. I also quite like the idea of accommodating Super Sonic a little better, so as well as having new routes, enemies would make more of an effort to slow him down. Actually do you want a strange lesson in game design? Skunny: Back to the Forest is (Sonic-inspired) platform game for DOS, that Copysoft still want you to pay full price for 25 years after release. Spoilers: it's not worth the money. Neither is Save our Pizzas. One of its few redeeming features is that once you finish the level, you can literally go back and destroy everything, and the game rewards you for doing so. The original Duke Nukem does something similar - once you get to the end of the stage, the game secretly drops a load of point boxes across the level, so in order to get the best high score, you're encouraged to get the most out of a stage. Sonic is also time-limited, but Super Sonic is very fast. So here's an idea - in this "extra mode", let Super Sonic collect all the things or destroy all the stuff, ranking up points. Then you have leaderboards, and ooh - incentives to play again. Oh and I want real pinball mechanics for any Casino Night/Collision Chaos-inspired stage. So you can make intelligent shots and it acts as a true game-within-a-game. I would go full blown, activate wizard mode and rack up all sorts of rings or bonuses or extra lives or whatever. Oh man. I totally forgot about Skunny. I had the shareware version of Save Our Pizzas and Skunny Kart as a kid. I was absolutely dreadful at it though, so I don't think I ever reached the end of a stage! I wonder about the feasibility of dynamic music changes a la Banjo Kazooie, simply due to the sheer complexity of some of the music. Differing Act music seems like a nice compromise there. Now that we've got a fairly solid way to handle the multiple character gameplay (Encore Mode), as long as it was never required to complete a stage like in Sonic 4, I wouldn't mind some kind of team ability depending on your combination of characters. Make it cost rings, so there's a bit of a gamble whether or not you want to use it at any given time. The day/night progression cycle from Chaotix would be awesome to see again too, not sure how i missed that. If zone order is relatively non-linear, then perhaps the acts will all progressively get closer to night depending upon the order played. Perhaps the plot would be similar to Majora's mask, with Eggman winning if Sonic & Co don't reach the final battle before the dead of night. I wonder about the feasibility of dynamic music changes a la Banjo Kazooie, simply due to the sheer complexity of some of the music. Many games these days are able to seamlessly transition from one music track to another. In fact, there's probably a very good chance that Team Sonic Racing will do it (because Mario Kart's been all over that sort of thing for years). I reckon you could simulate something on the Mega Drive, exchanging one instrument for another when Sonic goes below the water line (to some extent this is exactly what Banjo-Kazooie does). It may have even been done in a hack somewhere - there are certainly fan games that have tried. I'd like to see more of that kind of interaction, but sometimes leading to full on alternate routes or secret bosses. Your computer terminal idea is a good one, but it wouldn't need an action button. There could be a Zone that suffers a power outage, but the player can open locked doors and reactivate machinery if they have the Thunder Barrier. Maybe the shields could even affect bosses in certain ways? More collectibles would suit me fine. Maybe bring back the Flicky system from 3D Blast. Have them reside in certain badniks, requiring a bit of a hunt to find them. Getting to the end of the stage with all of them could reveal an end-of-stage warp ring to a unique bonus stage or extra act. Having to get all the collectibles in a single run through a level would be too frustrating. They should just be treated like the Red Star Rings in Sonic Colours, where the menu keeps track of which ones you have, and previously collected ones are semi-opaque when you replay the levels. Sonic Advance 2 took the single run approach to its collectibles and it was horrid. Usually the idea of hidden collectibles is to encourage and reward exploration, but by having to get them all in one go, Advance 2 forced the player to memorise and stick to one route. Also, given the tendency to introduce new characters, I wouldn't be averse to them adding another female character to the roster. We already have five male playable characters, and perhaps they need to expand the female side of the equation. I'm not sure who they could use though, given the general male-focus of the series. A new character maybe? I'd be fine with this, if they have a compelling enough gameplay idea for the character. If they do add a new character (even an NPC or villain) it should definitely be a girl. I've said this before, but one of the staples of the Sonic series that younger or less experienced players struggle with is the drowning risk and slow movement of the underwater segments. An amphibious character who can breathe underwater and swim at a decent speed would be a good addition for those players (or even series veterans who find the water segments a slog). Although, they could just use Vector instead. For example, having Tails' AI scripts being actually able to negotiate levels, so he doesn't have to fly in as often. Agreed. This feels long overdue. He shouldn't fall off-screen as much as he does. A new or adjusted gameplay function for Super Sonic would be worth a try. It's long bothered me that the reward given to the most skillful players is essentially just Easy Mode. The draining rings system was supposed to limit the usage of Super Sonic and add a risk/reward element, leaving Sonic completely vulnerable once the transformation is over. But rings are so plentiful, especially in Mania and S3&K (where you can easily rack up hundreds in a Bonus Stage) that it doesn't really pan out that way. But I'd also be fine having a Sonic game without Chaos Emeralds or Super Sonic. A water-based character never occurred to me. I think that's a fantastic idea. We've already got ways to move on land and in the air, and as it stands Tails is the only one who can swim. An amphibious character to expand water-based gameplay would work brilliantly in my opinion. Then you could add unique swimming paths, too.